So you’ve begun a collection of poems, or you’ve been writing for years and hiding them away in a drawer, and you think some of them are worthy of publication, but you don’t quite know where to begin. Here's how to begin submitting your poems for publication. Begin by reading all the poetry books and periodicals you can get your hands on — use the library, browse the poetry section of your local independent bookstore, go to readings. Keep a publication notebook: When you find poems you admire or a poetry magazine that publishes work similar to your own, write down the editor’s name and the name and address of the journal. Read the journal’s submission guidelines and write down any unusual requirements (double-spacing, more than one copy of submitted poems, whether they accept simultaneous multiple submissions or previously published poems). Read Poets & Writers Magazine, Poetry Flash or your local poetry newsletter to find publications calling for submissions. Make up your mind that you are not going to pay reading fees in order to send out your poems for publication. 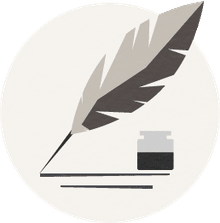 Type or print clean copies of your poems on plain white paper, one to a page, and put your copyright date, name and return address at the end of each poem. When you have a good number of poems typed up (say, 20), put them into groups of four or five — either putting together sequences on similar themes, or making a diverse group to show your versatility — your choice. Do this when you are fresh and can keep your distance: read each group of poems as if you were an editor reading them for the first time. Try to understand the effect of your poems as if you had not written them yourself. When you’ve chosen a group of poems to send to a particular publication, reread them once more to be sure you’ve met all the submission requirements. For most poetry journals, it’s fine to send a group of poems with a self-addressed stamped envelope (SASE) and without a cover letter. Before you seal the envelope, write the titles of each poem you’re submitting, the name of the journal you’re sending them to and the date in your publication notebook. Keep your poems out there being read. If a grouping of poems comes back to you with a rejection note (and many will), do not allow yourself to take it as a personal judgment: find another publication and send them out again within a few days. When a group of poems is returned and the editor has kept one or two for publication, pat yourself on the back and record the acceptance in your publication notebook — then combine the remaining poems with new ones and send them out again. Don’t try to do this all at once. Work a little on it every day or every other day, but save your time and mental energy for actually reading and writing poetry. If you do write a cover letter, make it a very brief note explaining why you chose their publication to submit your work. You want the editor to focus on your poems, not your publication credits. Don’t get too involved in trying to psych out a particular editor’s preferences. Inevitably, many of your poems will come back to you rejected—and you will occasionally be totally surprised by what a particular editor has chosen. Don’t expect detailed critiques from poetry magazine editors who have not accepted your work for publication. If you want specific responses to your poems, join a workshop, post in an online forum, or go to readings and gather a group of poet-friends to read and comment on each other's work. Making this kind of connection in the poetry community may also lead you to publication, because lots of reading series and workshops end up publishing anthologies of their members’ poems.